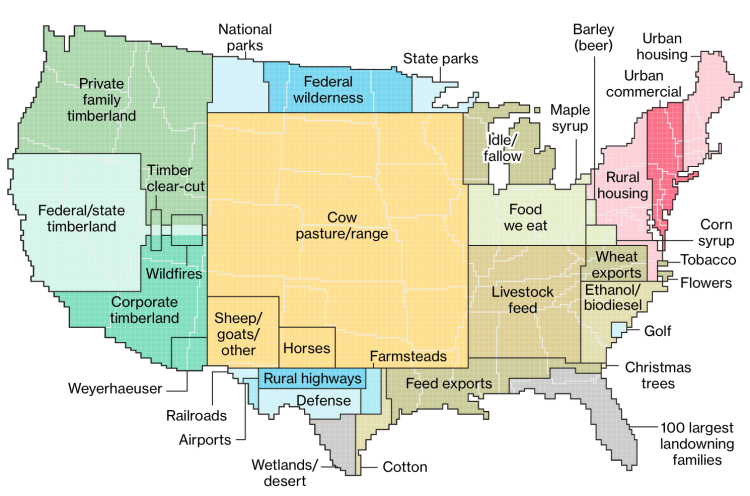 Bloomberg News had a really interesting article this week which breaks down how land in the US is used. 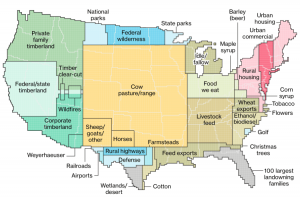 As you can imagine, a large portion of it goes towards agriculture, especially towards producing livestock. You can read the article and check out their maps here.